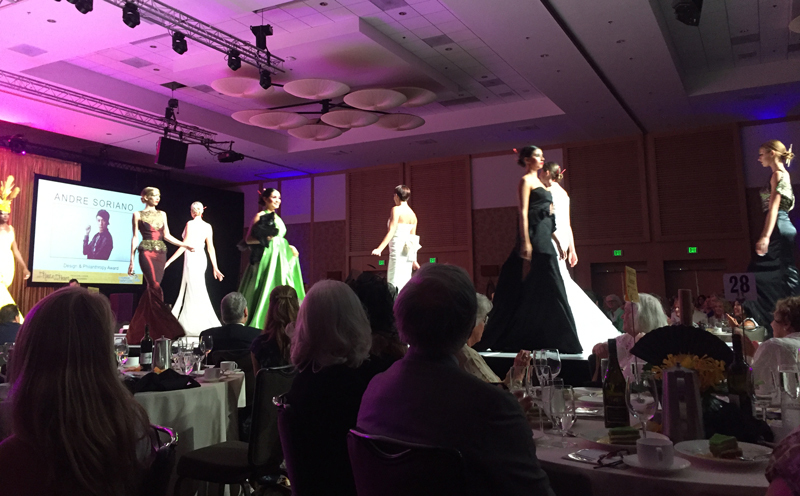 The 39th annual Haute with Heart Fashion Show and Luncheon was held on Saturday, August 13, 2016 with Menard Family Foundation Directors Marlene Miller, Catherine Scanlon and Barbara J. Menard in attendance. The theme “Empowerment is Golden” is based on the art piece entitled Geisha by John Agostini. 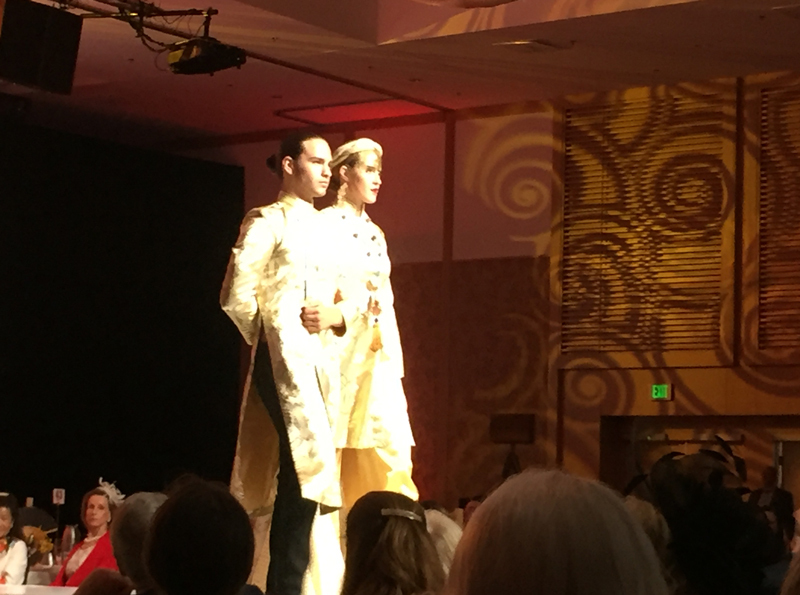 “Empowerment is Golden” is the celebration of St. Madeleine Sophie Center’s 50 years of service to adults with developmental disabilities. The center’s curriculum helps enhance the self-confidence and broadens the daily lives of over 400 adults with developmental disabilities who attend SMSC. This year the event honored the Kraemer-Kleinbub Family for their contribution to the 50th Anniversary Capital Campaign. 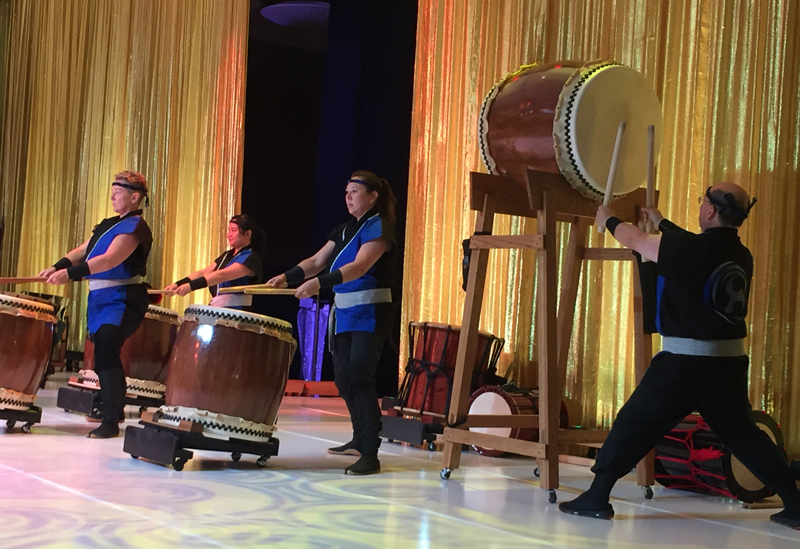 The luncheon began with a performance by the La Jolla Taiko drummers and Candy Shop Dance Group. 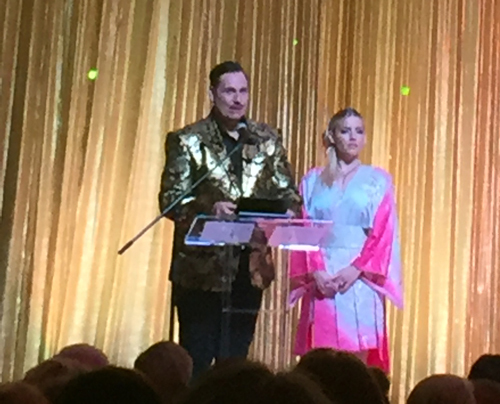 Emcees Steve Hamann, auctioneer, and Brandi Williams, anchor at KUSI, kept the program moving from the live auction, SMSC video, centerpiece auction into the opportunity drawing. The fashion show included television personality Leonard Simpson’s Fashion Forward ™. Leonard G. Simpson is a premier producer of fashion shows and other high-profile entertainment projects from Los Angeles to New York. 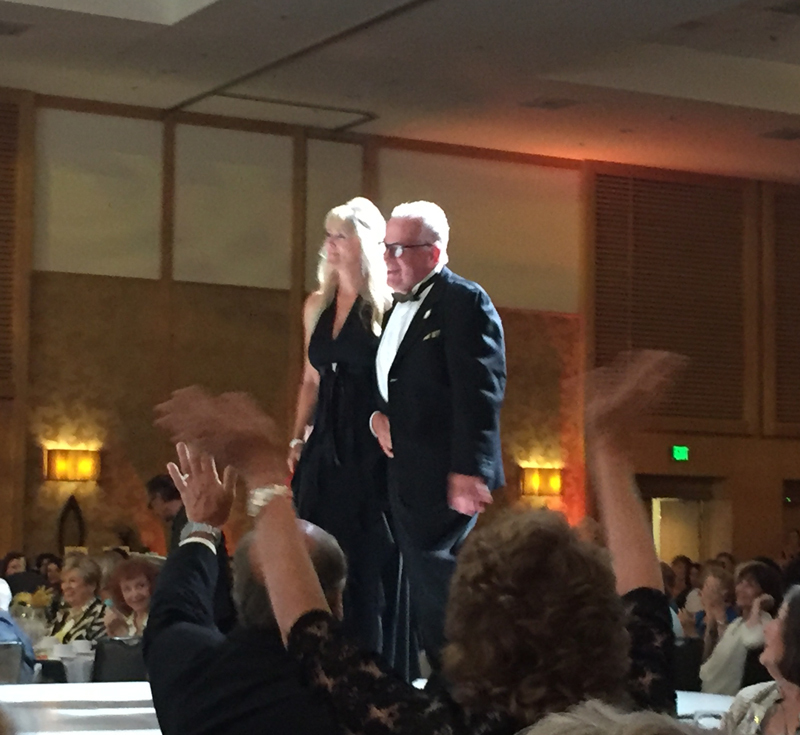 He is the San Diego Style and Charity Fashion monthly columnist for Discover Rancho Santa Fe Magazine. 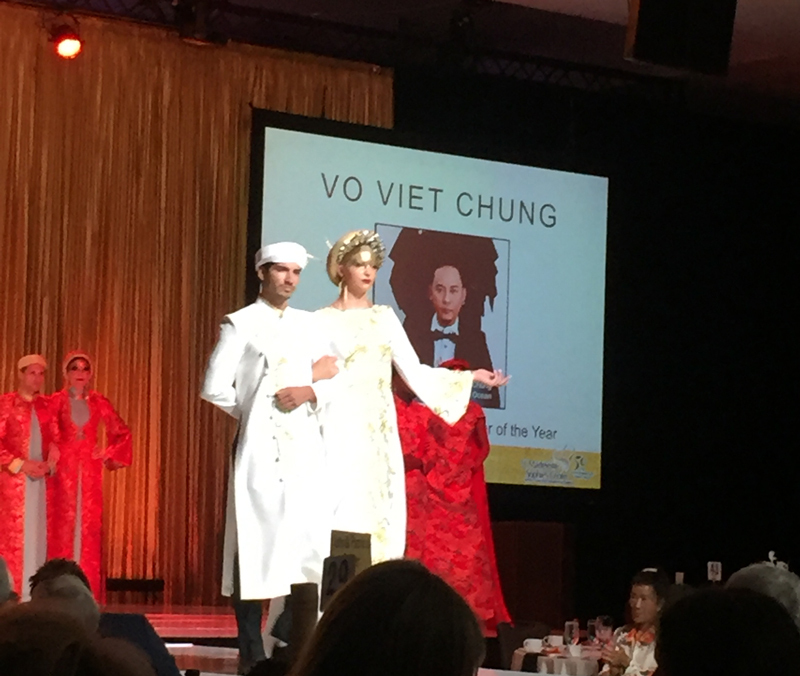 The Celebrity Couture Designers were: Vo Viet Chung, Fashion International Designer of the Year and Andre Soriano, Design & Philanthropy Award. 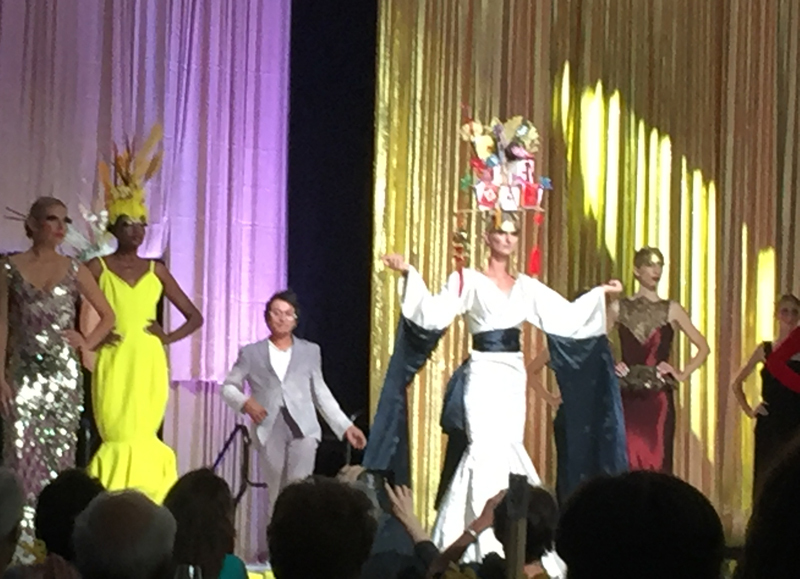 There were also Menswear Designers; Costume Designer, Debbie Solan, Fushion Glass; Dancers Lilly Chang, Dancers of the Mood and Hsi Fang Temple Fan Dancers; Jewelry Designers; Couture Hats & Headpieces and the Fashion Forward™ staff.